Design plays a crucial role in every business. From company websites, product design, marketing, and sales materials, design helps brands stand out from the crowd and have their own identity. Design Collaboration Tools that Rock! Collaboration tools where all of your design files and content exist. Communication platforms to help communicate design ideas with clients or teammates. We want to provide you with everything you need to create your design projects easily. Here is a curated a list of some of the best design collaboration tools from every category. Read on to find your next favorite design tool! Canva is easily one of the easiest design tools on the market. We personally use and love canva for all our social media activities. It’s an incredibly easy and quick way to create designs that look the best on every social media platform. Beyond social media needs you can create visual assets for posters, presentations, online ads, infographics, album art, wallpapers, flyers and so on. Canva also has free video training courses designed to show you how you can create better art with Canva. Canva is one of the best free design collaboration tools available today. Bit is a new age collaboration tool that helps design teams create, manage and store their documents and other media assets in one place. 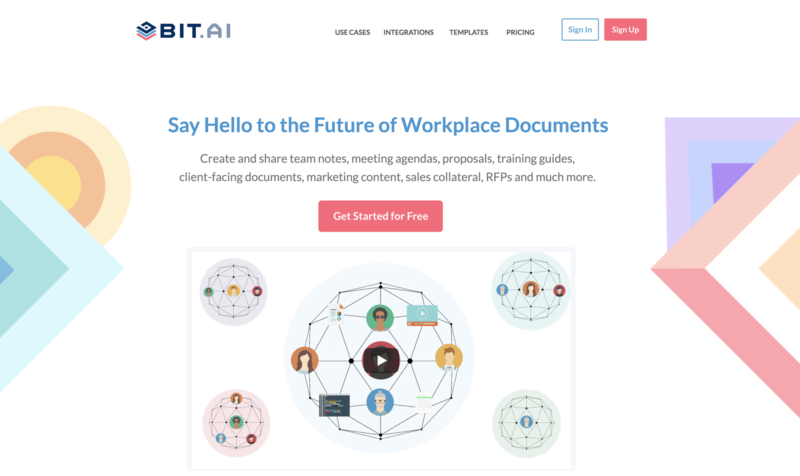 Bit allows teams to create workplace documents like-media kits, design proposals, project proposals, technical documents, sales decks, training documents, process documentation etc. If you are working on any design projects for your business or creating marketing assets, Bit is the go-to tool to do just that. You can easily embed your designs from Behance, Figma, Invision, Framer, Marvel, Sketchfab, Canva or more such design tools so that your design work lives inside of your Bit document and updates in real-time. Bit makes it easy for your team to start collaborating and receive their feedback without forcing them to open up a series of tabs or log into a separate portal to view your work. Just copy-paste a shareable URL of your design and hit enter. Bit, then generates a live preview of your design within your document. How cool is that?! Apart from documents, Bit also provides amazing content management capabilities. Bit has a digital content library that not only saves images and files, but it also allows you to save web links and rich embeds. This an easy way to reduce shoulder tapping across teammates so that everyone can dip in and grab what they need to get work done. Bit is one of the smartest ways design teams can collaborate, discuss and share work across internal teams, cross-functional teams, clients and partners. Built for both designers and nondesigners, Visme is another web app that helps you convert your boring content into visually stunning presentations, infographics, charts, reports, ad banners, and even web pages. Visme makes your content compelling and presentable by using design tools which are intuitive and easy to use. With over 500 templates in all formats, Visme makes sure that you never run out of creative ideas to present your content. Visme is being used by over 750,000 marketers, executives, and educators in over 100 countries. With millions of free images, fonts, privacy controls, and the ability to animate any design, Visme is a stunning design collaboration tool everyone should try. Figma is a cloud-based design tool that allows team members to quickly design, prototype, and gather feedback all in one place. Figma is the first interface design tool based in the browser, making it easier for teams to create software. Figma stores all your design files in one place to avoid confusions regarding versions. Users can create designs on their PC and then mirror designs to mobile with a live device preview feature. They can even interact with prototypes on mobile for more reliable user testing. Figma reduces friction between various departments by allowing users to share live prototypes with different teams – Engineers can inspect, export, and copy CSS, iOS, and Android code while marketers edit the copy. It’s a great tool to design, prototype, and launch your products from start to finish. Piktochart is a cloud-based application that allows anyone to easily create infographics, presentations or posters. The best thing about Pitochart is it’s easy to use and intuitive interface that takes less than 5 minutes to master. You can build professional looking visual designs with Piktochart without hiring a professional designer to do so. It works by selecting Piktochart’s wide range of beautifully designed templates and adding visual elements like charts, maps, videos, pictures, icons etc to it. You can even import your Google spreadsheet data and instantly visualize it. Once completed, each can be exported as a JPEG, PNG, or PDF file. Marvel is another design collaboration tool built in the cloud. Marvel has a simple and intuitive interface which enables everyone to quickly create beautiful assets and mockups. There’s no learning curve and no software required, so everyone can get involved. Marvel provides a single place to build wireframes, prototype and design specs in one place. Users can even sync their designs from Sketch and Photoshop or build mockups directly within Marvel’s design tool with the help of millions of assets, stock photos, and icons. Marvel even optimizes your design-to-development process by allowing users to instantly download assets and generate CSS, Swift and Android XML code for their prototypes. Another design collaboration tool on the list is Mural, a real-time digital whiteboard for teams! Mural is a great platform for design teams with geographical barriers between them. Mural wants you to stop digitizing your content, rather start your work on its digital platform. Users can create digital sticky notes, tasks, to-do lists, design mockups, sketches and more and share it with team members all around the globe. Apart from its awesome collaborative features, Mural provides anonymous voting sessions so people can voice their feedback without fear of retaliation. PicMonkey is a web app that allows you to do basic photo editing online without the need to download any software. If you are someone who gets dreaded by the sheer mention of Photoshop, PicMonkey can be your savior. PicMonkey’s free photo editor has a wide range of features such as touch up, collage, filters, fonts, effects, filters, stickers and much more. However, you do have to pay for advanced features like unlimited photo storage, advanced touch-up tools, premium templates etc. PicMonkey is a great tool to create quick logos or social media content without having any prior design knowledge. Feedbag is lightweight design collaboration tool with no over the top or sophisticated features. If you are looking to simply share your designs with your colleagues, clients, or friends, just upload an image, share it and start annotating. Currently, you can upload png, jpeg, gif, pdf, psd, and ai file types to feedbag, though they promise to expand their horizon soon. Feedbag keeps your designs online for 21 days after which users get an e-mail with a link to keep it online for a little longer. For people looking for a quick fix to their design collaboration needs, Feedbag fits the role perfectly. Notism provides everything you need to collaborate and sign-off visual content. Upload your designs and review them together with your peers. Receive live feedback from team members or stakeholders right in your workspace. You can also provide feedback by directly annotating the content and making your point visually. Apart from collaborating on pictures, Notism even allows users to review and collaborate on motion design work by adding notes, sketches or selections to the video timeline. It’s one of the few design collaboration tools out there which provides video collaboration. A must try! Design collaboration tools are a must for teams looking to create visually stunning and standout designs. In this era of remote work, design collaboration tools bring your teams under a single virtual roof and facilitate the design process- from brainstorming to idea generation and finally the result- effectively. Say goodbye to messy email threads and slack messages. 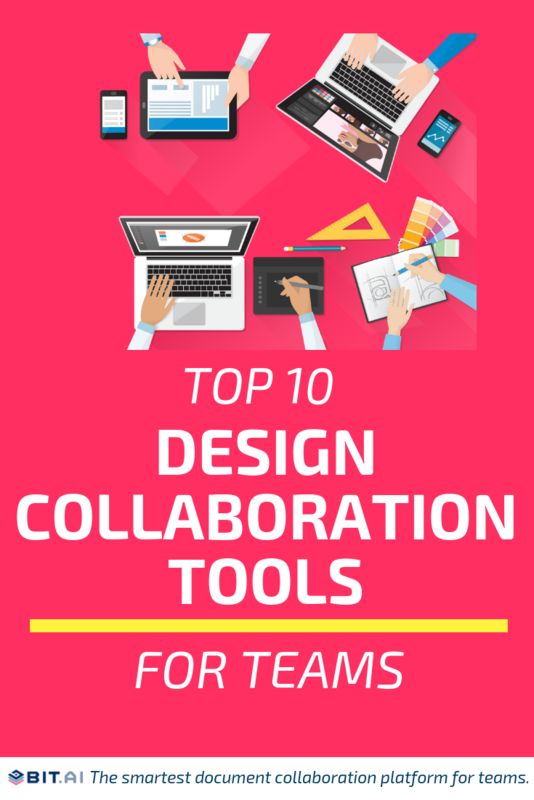 Streamline your design process by using these design collaboration tools and get work done quickly!